At Goodfellow Bros., we are more than a general contractor. As a fourth generation, family-owned business with more than 95 years of experience in the industry, we have earned a reputation for professionalism and integrity that reflects our longstanding commitment to the individuals, businesses and resources of the communities in which we live and work. As your contractor of choice, we pledge to deliver premium service, create a product of the highest quality and earn your trust and respect. In 1921, brothers Jack, Bert and Jim Goodfellow, Sr. founded a construction company among the agricultural lands of Wenatchee, Washington. The work of those early days— road projects traversing the mountains and valleys of central Washington, and the first excavation of the Grand Coulee Dam— shaped the history of the region and quickly established the company as an industry leader. Nine decades later, we are proud to carry on this enduring legacy, one that is firmly rooted in the principles of trust, professionalism and high-quality work. For nearly a century, GBI has transformed regions across North America and abroad. Today, our extensive resume reads like a catalog of the nation’s infrastructure, with a range of projects that include airports, bridges, dams, golfcourses, harbors, highways, housing developments, marinas, parks, wastewater treatment facilities, wind and solar farms, fisheries, wildlife habitats and more. Watch our Company History Video. 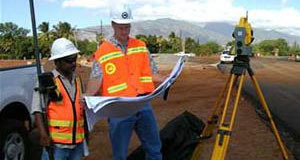 GBI and its subsidiaries operate throughout North America with regional offices located in Hawai‘i, Oregon, Washington and California. Our presence may have expanded over the years, but we haven’t lost sight of our core values. Just as our forefathers did, we will continue to establish lasting relationships with our clients, employees and industry partners. We are proud to have used the same bonding company for more than 90 years, an accomplishment that few contractors can claim. From start to finish, our Design Build team will work closely with architects, engineers and owners to ensure projects are completed on time and within budget. With a broad range of in-house expertise and capabilities—which includes drilling and blasting, asphalt and concrete paving, on and offsite aggregate crushing, mass excavation and underground utilities—we complete every project safely, quickly and at the best value possible. We are a family of pioneers and trailblazers that has emerged as an industry leader in modern construction technologies to better serve our clients. We have nurtured a culture of innovation, and as a result, our team is recognized for its experience in resolving issues as they arise, without interruption, at every stage of the project. We use state-of-the-art global positioning systems (GPS) equipment, perform in-house modeling and have extensive surveying capabilities. In addition, we utilize computerized maintenance data scanners to identify potential problems and prevent equipment failure, which translates to less downtime and accelerated completion dates. These innovative practices not only maximize efficiencies, but also save you time and money. Our reputation is built on quality, safety, trust and respect. These are the cornerstones of our success. As a result of four generations raised on a sound work ethic, we have amassed a portfolio brimming with awards and accolades. Of these accomplishments, we are most proud of the loyalty and longevity of our clients, and the quality and dedication of our employees. At Goodfellow Bros. we know that our success depends on the satisfaction of our clients. Therefore, we pledge to use every resource possible to fulfill your needs, while standing by our commitment to get the job done right, on time and on budget. 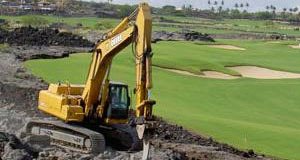 We strive to be your contractor of choice. 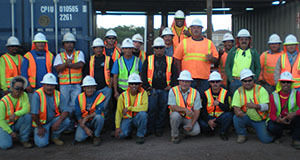 Our employees understand that ethical performance is required at GBI. We uphold the highest level of integrity and social responsibility in all that we do. 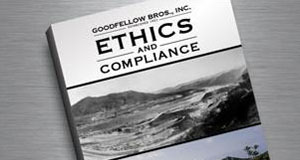 For additional information, or to report any issues or concerns, please contact us directly at 855-220-5294 or ethicscompliance@goodfellowbros.com.